Veteran music composer 'Mellisai Mannar' M S Viswanathan passed away this morning (14th July) at a private hospital in Chennai at around 4.15 AM. He was 87 and is survived by four sons and three daughters. MSV as he was fondly called, was not keeping well for a while and was undergoing treatment for age related issues. He had in fact showed signs of recovery a few days back but his condition deteriorated. 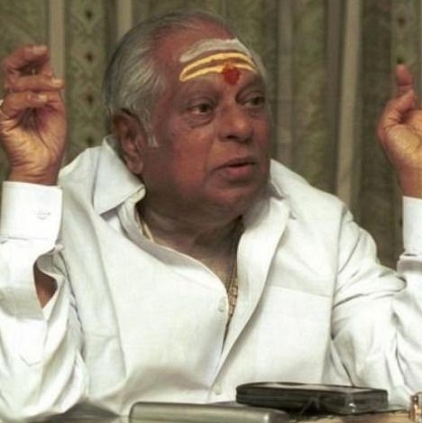 MSV has composed music for more than thousand films across the South Indian languages. He started his film musical career in the 1952 film Panam starring Sivaji Ganesan. His collaboration with fellow composer Ramamurthy has resulted in numerous memorable tracks. Some of his best works include Enga Veettu Pillai, Paasa Malar and Sumaithangi. MSV and legendary filmmaker K. Balachander’s combination has produced several evergreen classics. Viswanathan is also a recipient of the Kalaimamani and several other awards. MSV’s demise has left a huge irreplaceable void in the music industry. Behindwoods pays its respects to the legend and prays for his soul to rest in peace. People looking for online information on M S Viswanathan demise, MS Viswanathan, MS Viswanathan death, MS Viswanathan passes away will find this news story useful.